The Hitman series has been in a bit of a lull over the past few years. 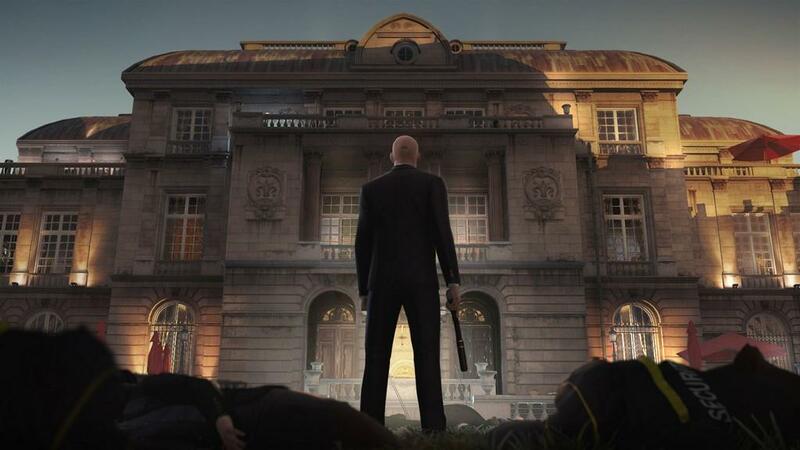 After the disappointment that was Hitman: Absolution, fans have been waiting for years for the next installment of the series and a few years ago the announcement of the new Hitman was made... to a less than stellar response. It was announced that instead of releasing the whole game at once, it would be released episodically. Honestly, I was worried myself. After spending a crazy amount of hours with the new Hitman, I can happily say that the experiment worked and I will even say that I feel like Hitman works even better as an episodic experience. Well the dust has settled on season one, and whats the verdict on the complete package? This is one of, if not the best Hitman game ever made and one of the best stealth games released in years. This is one of those weird games where it seems like both a sequel and a reboot to the Hitman canon. It's set after the events of Absolution and it doesn't contradict anything from the previous games, but it really seems like this is the start of a brand new story. 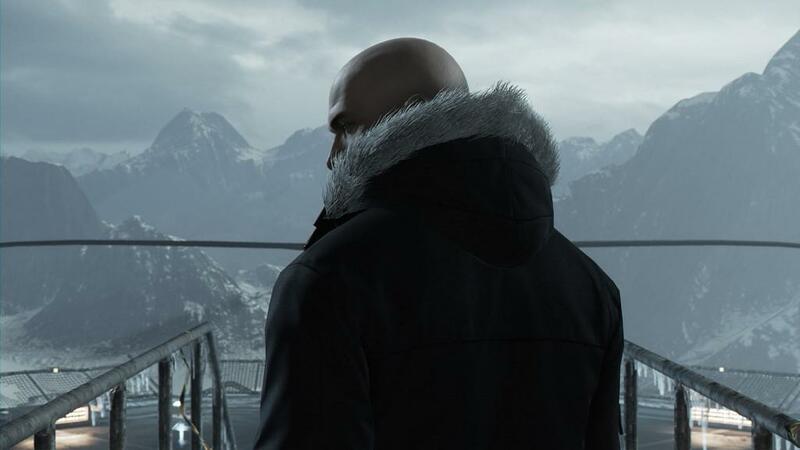 The game starts with how Agent 47 was initiated into the ICA. Then the game gives a montage of all of his work from the previous games and then begins after the events of Absolution. 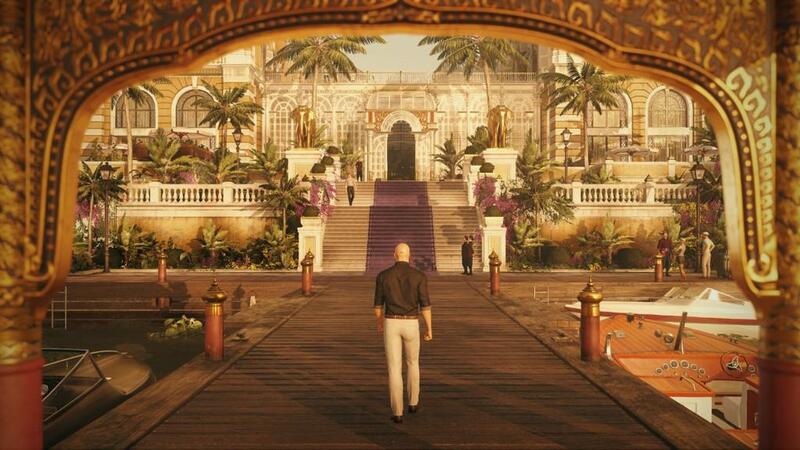 Hitman is broken up into six episodes. Paris France, Sapienza Italy, Marrakesh Moracco, Bangkok Thailand, Colorado USA and Hokkaido Japan. Each episode will task you of course with eliminating certain targets and sometimes there are a couple of side objectives like destroying a virus, or securing a datapad. As for the story itself, most of it comes in your briefings by Diana before each mission letting you know why and who you are a assassinating. Each episode is also book-ended by cutscenes about the bigger picture. The story doesn't really kick off until the last few episodes, but sadly it ends right as it's about to pick up. Let's just say that it's a good thing that this game was good and a season 2 is hopefully on the way because, without giving away too much, the story ends with quite a cliffhanger. That said, it seems like Season one set in motion a series of events that will hopefully be resolved in a season 2. What was set up though is very promising, but most people who play these games won't be focused much on the story but on the actual assassinations themselves. Each level's main objectives are simple. Eliminate your targets. Then you are on your own. 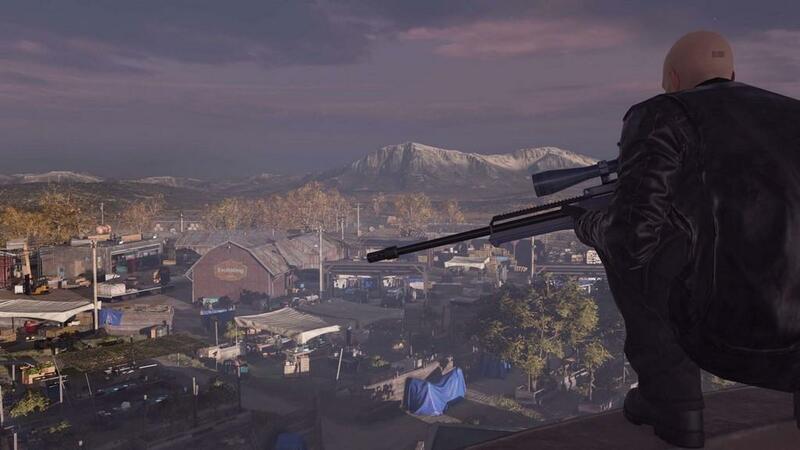 In the main story missions, the targets can be eliminated in any way that you choose and this is what makes Hitman shine so much. There are literally hundreds of different ways that you can go about eliminating targets. You can always just watch until your target is alone and then take them out with a quick bullet to the head from your trusty pistol, or choking them out with your signature fiber wire, but those are just two ways to eliminate targets. Walk through the levels and you will see various ways that you can improvise and eliminate your targets. One of these ways is through "opportunities". Each level in the game has it's own set of unique opportunities. By listening to various conversations with NPCs, opportunities to eliminate your targets will be revealed. These opportunities will give you set of objective and walk you through them for a chance to set up your target. For instance, in the Paris level, one of your targets' favorite drink is called a "bare knuckle boxer". If this opportunity is active, your objectives will be to acquire a bar tender outfit, learn how to make a bare knuckle boxer drink and then poison said drink. On the Japan level, one of your targets has a Yoga appointment. With this opportunity active, you will need to acquire a yoga uniform, drain the hot springs so there are no witnesses, talk to your target, tell her to follow you, and then start your yoga session near the hot springs. Oh, and this yoga appointment just so happens to be right on the edge of a cliff. I think you know what happens next. Each level has a number of opportunities so there is more than enough reason to go back and complete them all. If you don't want help with your eliminations, there are plenty of opportunities for.... accidents to occur. These are my favorite kinds of eliminations. Throughout all of the levels you will find plenty of things you can tamper with. Maybe your target likes to take cigarette breaks at certain locations. Look to see if there are any ways to cause gas leaks like puncturing an oil drum or using a wrench to loosen the valve on a gas tank. Maybe a chandelier hanging from above could accidentally fall on someone or maybe someone can be accidentally electrocuted my stepping in a puddle with exposed wires nearby. Of course these are just a couple of unfortunate accidents that can occur with each level and there are a plethora of weapons lying around that you can use to eliminate targets as well. Just walking around a level and finding new ways to take someone out is a satisfying experience on its own. 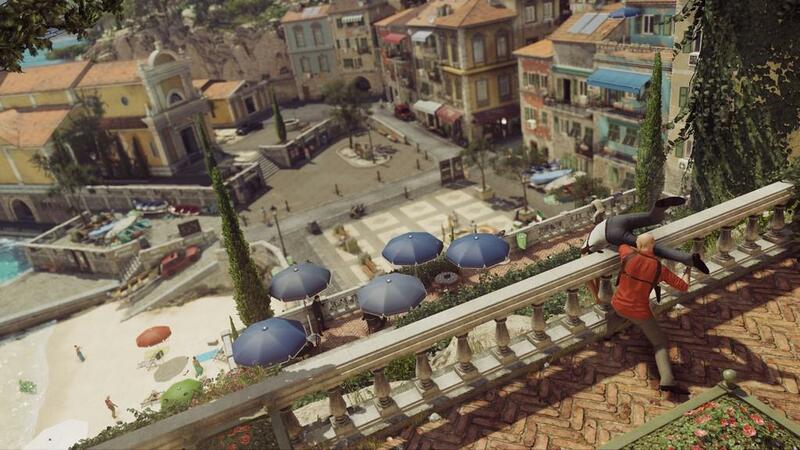 The one thing that Hitman has going for it is a ridiculous amount of replayability. There are so many ways to eliminate a target that you are really only limited by your imagination. Even if you finish all of the opportunities there are a plethora (well over 100 for each level) of challenges to unlock for each level as well. Completing challenges earns you XP which contributes to your "level mastery". The more you level up your mastery for each level, the more perks and equipment you can unlock, which makes consecutive playthroughs even more fun. You can unlock the ability to start the level in different starting locations with disguises already equipped, the ability to have smuggled weapons stashed at various locations in the level and various equipment to bring along with you. Equipment offers even more opportunities to eliminate targets. Some equipment includes syringes with poison that induces vomiting and forces targets to find the nearest location to throw up or syringes with lethal poison which will instantly kill a target. You can also unlock weapons as well so if you want to go full sniper, you can unlock a sniper rifle and take out your targets from far away. You can also unlock my favorite piece of equipment the proximity and remote detonation devices. Throwing a charge next to a gas can and blowing it as a target walks by is so satisfying. That's another thing which makes this game so great is that there is a great sense of accomplishment every time you eliminate a target and there are so many fun ways to do so that you will be playing through each level time and time again. All of the levels in the game also separate themselves by featuring a variety of different locations, each with a number of areas to explore and various ways of to eliminate your targets. 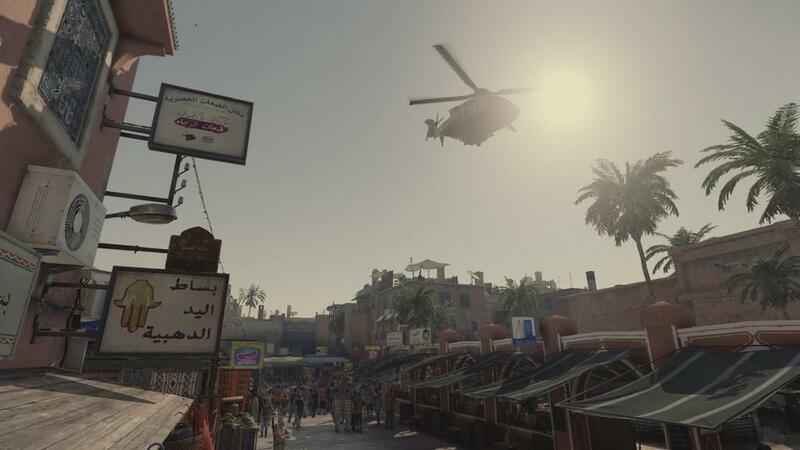 You have levels like Paris and Marrakesh, which take place in confined locations where you have hundreds of NPC's going about their business. You have levels like Colorado and Italy which are still in large locations but are more open and have a smaller number of characters on screen. Hokkaido Japan is probably my favorite level which takes place on the top of a mountain in an absolutely beautiful luxury resort which also includes a state of the art hospital underneath the resort. 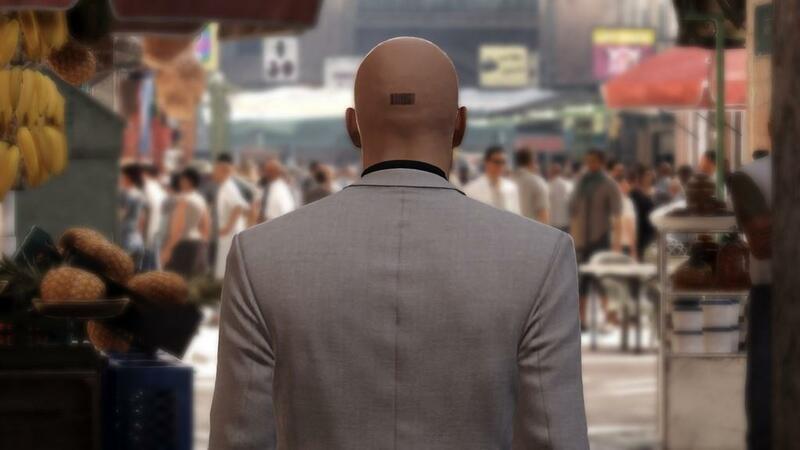 If you ever do get bored of the characters you have to eliminate in the story mode, Hitman also offers a contract mode where anyone can become a target. This mode returns from Hitman: Absolution and allows you to mark up to five different NPC's in a level, eliminate them and then load your contract online for other players to try and complete. There are already hundreds of contracts online from other players that you can play right now so this is one of those games that even with all the content it has now, there will never be a shortage of content in the game. Each level in the game also includes a number of "escalation" missions. Escalation missions are challenges that increase with difficulty with each level. The first level of an escalation mission might have you eliminate someone wearing a certain disguise. The second level will have you complete the same objective again but will add additional objectives such as eliminating a second or third target while wearing a different disguise or by eliminating them with a specific weapon. To further add challenge to these missions, there are also certain modifiers that can change the rules for successfully completing the mission. 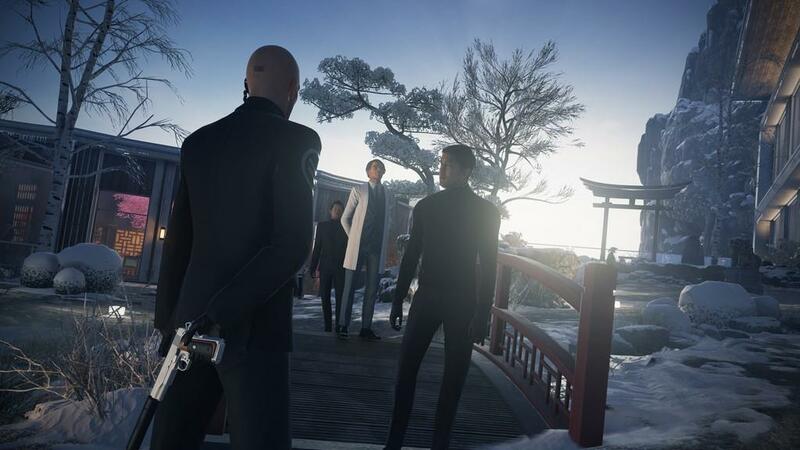 An example would be a mission where you need to eliminate a certain individual by using the battleaxe weapon or a kitchen knife or missions where you can only wear Agent 47's default suit and you cannot pacify anyone in the level. This means that to complete this mission you won't be able to knock anyone out, use any disguises or any special equipment or weapons. Complete that mission and they may add a stipulation where you are not allowed to vault or drop down from any location. Doing any of these things will result in an instant mission failure. As you can imagine, being forced to kill using certain weapons or by wearing certain disguises itself ups the difficulty because this means that there are going to be tons of places within each level where you won't be allowed to enter and you will be considered trespassing if you enter these areas so you are going to have to do some serious improvisation. 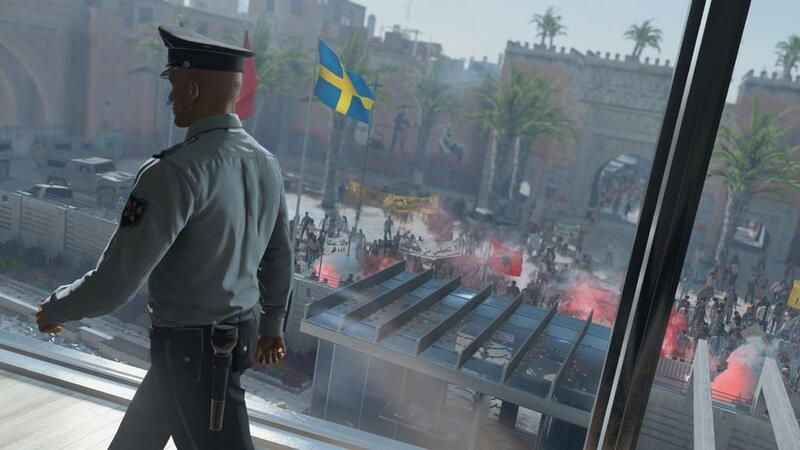 These are are fun and challenging missions which offer a serious challenge to expert Hitman players. Finally there are the "elusive targets" who are certain targets which appear in a map for only a certain amount of time. Once that target is gone, they are gone for good. You also only have one go at the target as well. If you die, you do not get a chance to retry and the contract is gone forever. Sadly I haven't be able to eliminate a single target, but it is fun to see that the target has shown up and to see the community all collectively try to assassinate the target while discussing what the best strategy would be for taking out the target. One of the things that make this game stand out from Absolution is how much you are going to have to scout the map and plan your attack before going in. There are so many NPC's, so many guards and so many other characters on the map just going about their business, that you will NOT just be able to walk into an area and just blow away your target. Your patience is going to have to be on point. You are going to need to watch guards and NPC and study their movement patterns along with keeping an eye on your target as well and how they are moving around the map. You can press the R1 button which will let you see shadows of any NPC's that may be around the corner and your target will be highlighted in red. There are so many things that can go wrong. You could have a hit already set up and one wrong move or one NPC shows up out of the blue and your entire plan is ruined, forcing you to rethink your plan of attack. Even with disguises, you also need to make sure you aren't acting suspicious. You can be wearing a disguise, but certain NPC's may recognize you if you get too close, and they will start coming after you or they will alert guards nearby and completely compromise your disguise. If you are wearing a guards suit, they may pull their weapons on you and frisk you. If you are carrying anything illegal on you, they will start shooting and asking questions later. Agent 47 can only take a few hits before he is put down so you are going to want to avoid gunfights at any cost. The combat in the game is pretty simplistic, with QTE's you can utilize to knock out an enemy, but if there are any other NPC's around, they will take notice and it's only a matter of time before they start lighting you up. Throughout the season I had a number of issues with the game. The two biggest ones were the always online requirements and the loading times. When playing the individual episodes as they were released the loading times were absolute atrocious. I am being serious as I timed it, one minute and twenty seconds of loading just to start a single mission. If you failed, it would take maybe 45 seconds or so just to reload the level. Thankfully, as of now this issue has been resolved and loading levels and reloading only takes around 15 seconds or so, a major improvement from before. The other huge problem I had was that your online and offline profiles are completely separate. Playing offline wasn't even worth it as you wouldn't unlock anything in the offline version and anything you unlocked online wouldn't carry over to offline. I know we are living in an online world, and most gamers have internet, but it was more so As of this review, I am happy to say that the game has been updated to make things easier on offline players. You still need to be online to unlock equipment and such, but all of your unlocks will now be transferred to the offline game. It makes things easier on those who may not have stable internet connections, but if you don't have internet at all, you are kinda out of luck. 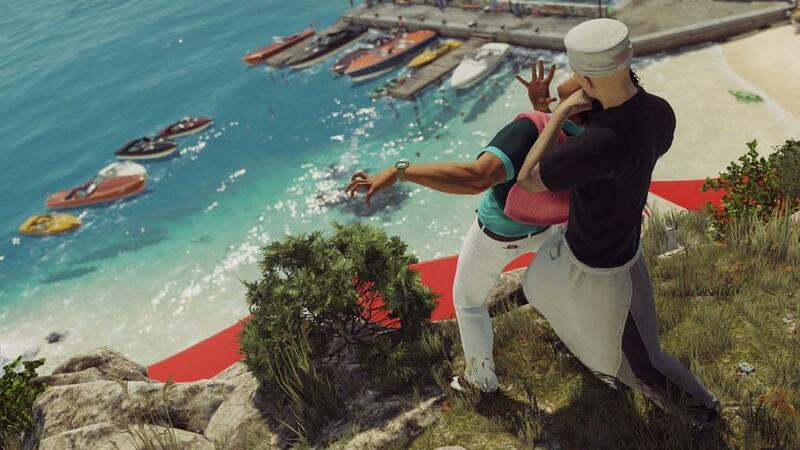 IO interactive took a major gamble with this new approach to Hitman and I have to say that it paid off wonderfully. This is not only one of the best Hitman games ever made, this is one of the best stealth games to be released in years. There is a plethora of content here and between the online contracts, escalation contracts and challenges, there is almost an endless amount of content to keep you busy for quite some time. Agent 47 is back and better than he has ever been. The new episodic Hitman is one of Agent 47's greatest adventures to date and is one of the best stealth games to be released in years.